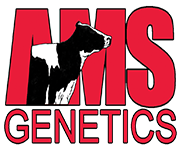 Selling on the RockyMountain High Sale, Thursday, July 7 is an embryo package of two Snowman x Comestar Lautella Goldwyn VG-87-CAN (#13 GLPI+2891 4/11). Also selling three Snowman embryos from the high type EK-WW Alexander Eliza-ET GTPI+2121 PTAT+4.11, an Alexander granddaughter of Emilyann. These are the only Snowman embryos from Eliza, there are not any pregs or transfers. She is pregnant and due at 1-10 in December.